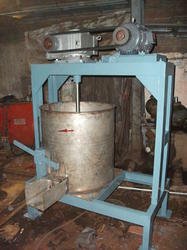 Our product range includes a wide range of cotton seed delinting machine. We offer high quality Cotton Seed Delinting Machine to our valuable customers. Known for their high performance, low maintenance and enhanced serving life, these cotton seeds processing plants are highly demanded. As per the specifications provided by the customers, these cotton seeds processing plants can be customized. Looking for Cotton Seeds Delinting Machine ?